The Everyday Co. 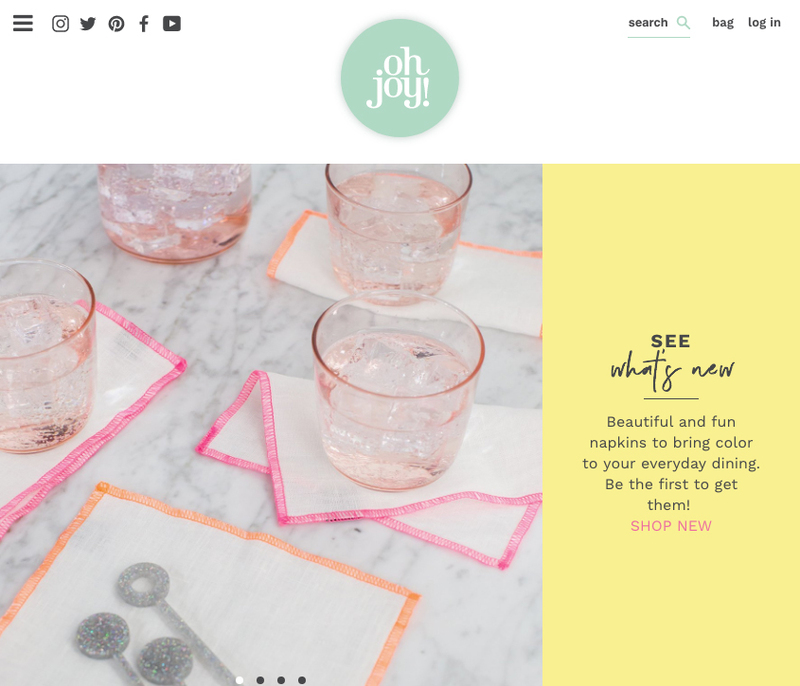 Exclusive Napkin Sets with Oh Joy! Oh, yes! We're with Oh Joy! We are so so excited to share that we have four exclusive napkins sets with the new Oh Joy! shop! Blogger and entrepreneur, Joy Cho (with product in Target and collaborations with Band-aid, Calpak, Maptote, and many more design focused brands—no biggie! ), has designed 4 simple, fun, colorful Everyday napkin sets with our fabrics and edge colors—two Signature napkins sets and two Dinner napkins sets. Excited? We are! Perfect for Summer entertaining with friends, family, or a simple dinner al fresco after a hard days work! Joy's LA-based team has launched all four exclusive napkin sets in our white linen and classic Navy Windowpane linen! Shop them here! A big thank you to Joy, Nicole and the entire Oh Joy team for being fans and bringing our linen goods into the new Oh Joy shop. Together we can build a more beautiful, less wasteful home.